Count Patrick d'Aulan comes from wine. And money. And blue blood. He is the aristocratic owner Alta Vista Winery, but he is no newcomer. His family held the keys to the Piper-Heidsieck Champagne house for nearly a hundred years. In the late 1990s, the domaine was sold. As luck would have it - maybe it wasn’t luck at all - the Count had met Bordeaux winemaker Jean-Michel Arcaute. They began scouting for new wine lands to conquer, and after a little sniffing around, they arrived in Argentina. Salta, to be precise. Salta is in the northern part of Argentina, a stone’s throw from Chile and Bolivia and not much farther to Uruguay. The vines from which the Torrontes grapes were taken are at an altitude of 5,400 feet, so it’s pretty special terroir. in fact, all the vineyards owned by Alta Vista reside at an altitude of at least 3,200 feet. The 2013 Alta Vista Salta Torrontes received no malolactic fermentation, to enhance the wine’s fresh and vibrant character. Aging took place in steel for three months, then in the bottle for a similar span. In the tanks, the wine rested on its lees, or spent yeast cells, hence the full mouthfeel. This Torrontes has a light golden tint and a nose that is simple, but effective. The aromas of white flowers and pear juice are concentrated and captivating. The palate shows a bit more variety, with a more mineral-driven set of flavors - limes, oranges and pineapple - in addition to the luscious pears and peaches in this fruit salad of a wine. The acidity is passable, but not really spectacular - great for sips and salads. Make it a fruit salad. Albariño is a grape of Spanish origin, and in the Rias Baixas region it is pretty much king. The name means "white of the Rhine," I am told. Albariño is, indeed, related to the Alsatian Riesling grape. Here in California we see a lot of home-grown Albariño, but it's always nice to have one we might call "the real McCoy," if McCoy was, indeed, a Spanish name. In this instance, we might refer to the wine in question as "the real Falcón." Kobrand, the wine's U.S. importer, writes that Don Olegario is an "artisanal winery begun in the 1950s by Adolfo Falcón." In the 1980s, Adolfo's son Olegario pushed the bodega to its present status as a top producer of Albariño. The five offspring of Olegario now run things, with Roberto Carlos Falcón handling winemaking duties, while Fernando grows the grapes. María, Vanessa and Mónica are also involved in the day-to-day operation. They point out that the winery is "a top producer of Albariño, the region’s most famous grape variety." The grapes for this Albariño come from a single, 12.4-acre vineyard which has 30-year-old vines growing in sandy and granite soils. "Sustainable winegrowing is used," relays the importer, and "the grapes are hand harvested and undergo a cold maceration before fermentation in stainless steel vats." Bodega Don Olegario is one of only a few single estates in Rías Baixas, where vineyard land is often divided among hundreds of growers. This allows the bodega to control its fruit from field to bottle. The 2014 Don Olegario Albariño Rias Baixas offers lots of limes and lemons with a touch of sweet pineapple on the nose. A nice streak of minerals rides through, as well. The palate shows citrus and green apples, joined by minerality galore. Great acidity makes for a predictably refreshing - and food friendly - quaff. Lemon flavors last well into the medium length finish. At 13% abv, the alcohol is reasonably restrained. This wine is a beautiful aperitif, but save some for the seafood course, too. The minerality and acidity make it a great match for oysters, crustaceans and just plain old fish. Champagne is largely considered by ordinary folks to be a "special occasion" wine. Usually, Champagne is rather costly. Finances unfortunately play into the notion that a pricey bottle should be saved for another time. Get something under a screw cap for today. After all, we have to drink tomorrow, too. This fine bottle of bubbly was given to me as a birthday present several years ago. We were holding on to it for a very special occasion. We asked ourselves recently, "What is more special than today? How many more tomorrows can we count on?" Instead of holding it back for some special day that - truthfully - might never come, we popped the cork and enjoyed the moment that is now. We think it was a wise decision. Moët et Chandon is the biggest Champagne house in France, founded in 1743 by Claude Moët. Best known for their top-shelf brand, Dom Pérignon, Moët made White Star as a non-vintage Champagne. It was discontinued in 2012, replaced by the Imperial label which has been around since the 19th century. I understand that White Star was a bit sweeter than the super-dry Imperial, which sees a more restrained dosage - the introduction of sugar into the fermentation process. The nose is yeasty and a little bit funky, with the smell of a wet sidewalk after a rain wafting in late. Flavors of peaches and apples strain to be noticed above the minerals and toasty notes. It is not bone dry, but the sweetness is quite restrained and the acidity is a notch right over "zippy." This is how - for me, anyway - Champagne is supposed to taste. Pair what you like with it - rare tuna, potato chips, wedding cake, the dessert tower - or light up a big fat Cuban cigar with a hundred dollar bill and blow smoke onto the poor folks. Or, just pour, toast and sip. Cheers. The term Fumé Blanc was created by Robert Mondavi, as a marketing ploy. It was the name he gave to his Sauvignon Blanc wines when he shifted from a sweet style to dry. He laid no claim to the term, allowing anyone to use it if they wished. It was inspired by the Pouilly-Fumé Sauvignon Blanc wines of France's Loire Valley. This is the wine that put Dry Creek Vineyards "on the map," they say. DCV founder David Stare was the first to plant Sauvignon Blanc in Dry Creek Valley, a move that has been borne out as genius through the years. Winemaker Tim Bell continues to craft a flavor profile of citrus and minerals, just as the big grape maker in the sky intended. This wine saw stainless steel fermentation and not a stave of oak in the process - surprising since it has a richness and fullness usually associated with oak aging. It contains 100% Sauvignon Blanc grapes and hits 13.5% abv with a trail sticker of about $14. The nose shows grass and citrus, heavy on the citrus. The mineral-driven palate gives a very full mouthfeel and displays a nice acidity. The DCV Fumé Blanc will pair wonderfully with pasta - especially in a cream sauce - but it is full and rich enough for roasted chicken. It served well with a baked potato loaded. For the DCV Sauvignon Blanc 2014, they use 82% Saivignon Blanc grapes and blend in 4% Sauvignon Gris, a clone originating in Bordeaux, with 14% Sauvignon Musqué for aromatics and a full mouthfeel. The wine is steel fermented, reaches 13.5% abv, and sells for $18. About 7,000 cases were made. The Dry Creek Vineyard 2014 Sauvignon Blanc is herbal without being grassy, and fresh without being sharp. The nose gives an herbal note lifted by the Musqué's aromatics, with citrus and minerals to spare. The wine feels full in the mouth, with a beautiful lemon-lime tartness and fresh acidity. A slight savory aspect cuts in late and stays through the finish. The pop of the acidity makes this wine a great pair with seafood - mussels, crab and oysters come to mind. If you're just snacking, it goes great with potato chips and pretzels. By the way, potato chips and pretzels go together quite well on their own. Over the past 15 years Sicily's reputation as a wine region has made great strides. Indigenous grapes have been revitalized, and the winemakers of Sicily are now crafting sophisticated and vibrant wines. Poggio Graffetta is located in the a Sicilian town of Ragusa. Wines made from the Nero D'Avola grape is one of many great exports from the Italian island - along with the cannoli, arancini and pecorino cheese. This wine is both drinkable and affordable, with alcohol content at only 13% and the price at just under $14. The Graffetta Nero D'Avola 2012 is very dark - almost no light gets through when held to a lamp. Aromas of dark fruit and the subtle sense of earth make for an underplayed nose. On the palate, plums and blackberries meet minerals and black olives for a game of "sweet or savory." The match is a draw. The tannins are temperate and the acidity makes the mouth water. The folks who market Sicilian wine would like to remind you to look for Sicilia DOC on the label to ensure that you get an authentic Sicilian wine experience this holiday season. Blended wines are fun. When you know what the grape is, there's no guesswork - unless you want to guess whether your Pinot was juiced with a bit of Syrah. In a blend, especially when the grapes used are not telegraphed on the front label, you have the enjoyment of ruminating while trying to figure out what they are. If you don't think that's fun, you probably are not reading a wine article in the first place. Cornerstone Cellars managing partner Craig Camp thinks they are fun, too - to make, not just to drink. He can appreciate a varietal wine as well as anybody, but "when you start out to make a blend, he writes, "the only rules are your emotions. What is it about the wine world you want to touch?" In the case of Cornerstone's White Rocks!, they decided to reach out and touch a lot of sweet, ripe fruit. The 2014 White Rocks! by Cornerstone features - spoiler alert - Orange Muscat and Viognier in the blend. With those grapes in play, we would normally expect a sweet ride, and that is what we get. Chardonnay and Sauvignon Blanc also appear in a wine that keeps alcohol moderate, at 12.5% abv, and price low, at $15. Yellow gold and aromatic, the 2014 White Rocks! by Cornerstone shows a nose full of little white flowers, nectarines, apples and citrus. The palate is just as lovely, just as fruity. Sweet peaches, nectarines, oranges and a shade of tropical fruit make for a festive feel, while a gentle acidity allows plenty of space for spicy food pairings. Camp likes the explosive fruitiness of White Rocks! paired with Thai, Vietnamese, Korean and all variations of Chinese cuisine. "A good old American BBQ is not bad either," he adds. I loved it with smoked cheddar. It's a great sipping wine, too. An event is coming to Santa Barbara that animal lovers will want to put on the calendar. Volunteers from Cold Nose Warm Heart of Goleta and ASAP Cats of Santa Barbara will be on hand with pups and kittens hoping to find humans to rescue, while Margerum Wine Company's David Moorman will be grilling up hot dawgs to benefit cool cats and dogs! Prizes include dinner at the Wine Cask, Whole Foods Market gift cards and gift baskets, winery and brewery hats, Tshirts and other goodies!  $5 CASH ONLY per ticket, 100% of ticket sales will be donated. Tickets will go on sale Saturday, September 12th at the Buzz Hive, inside Whole Foods, Santa Barbara.  Buy a Dawg to Save a Dog - Purchase one of David’s Dawgs and receive a raffle ticket, too!  Feed The Homeless - Purchase a large bag of Whole Paws dry dog or cat food ($18.99) or a case of wet cat or dog canned food ($24), receive FIVE raffle tickets. All Whole Paws food will be donated to ASAP & CNWH.  Drink Up For the Kits & Pups! Attend the beer & wine tasting events, $6 CASH ONLY, raffle ticket included with flight. $5 will be donated to ASAP/CNWH. 100% of proceeds donated, winners need NOT be present to win! Brooks Van Wingerden, General Manager at Margerum Wine Company, writes that Doug Margerum and Gina Cook (the wine specialist for Whole Foods) were tasting together a few months ago, not long after Doug had lost his beloved dog, Patches. Margerum and Cook are doing a series of private label wines for Whole Foods. As they were "patching together" a Pinot Noir blended with fruit from some of the best sites in Sta. Rita Hills AVA ( La Encantada Vineyards, Sanford & Benedict Vineyard, and Radian Vineyard ), a Merlot blend from the Happy Canyon of Santa Barbara AVA and others they bantered about their pets, past and present and thought, "what can we do to help more cats and dogs find furever homes?" Just like that, the idea to give a donation for each bottle sold from two of these new wines was formed. 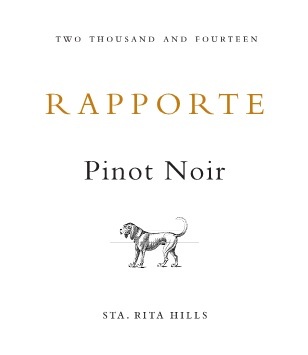 One dollar from every bottle sold of Rapporte (French for "fetch") Pinot Noir, Sta. Rita Hills (retail $34.99) will be donated by Doug Margerum to Cold Noses, Warm Hearts. Fifty cents from every bottle of Chaton Heureux Cuvee (French for "Cat, Happy Blend") Merlot blend (retail $19.99) will be donated to ASAP Cats. Both are volunteer-run rescue groups that work to save cats and dogs destined for euthanasia at the Santa Barbara county shelter. The labels were designed with pets in mind and both the labels and the wines are stunning. The wines will be available exclusively at select Whole Foods Markets from SLO to San Diego and at Doug Margerum's tasting rooms in El Paseo – downtown Santa Barbara. The little California town of Gilroy is the garlic capital of the world, so they say, and one sniff as you drive by on the freeway confirms that nickname. Bonny Doon Vineyards President-For-Life Randall Grahm gives a nod to Gilroy - and all things aioli - with his Grenache named Clos De Gilroy. It just one of Grahm's red wines that exude a compelling savory side. Bonny Doon’s Clos de Gilroy Grenache 2014 is made from Monterey County grapes - 89% Grenache, 9% Mourvèdre and 2% Syrah - from five different vineyards: Alta Loma (80%), Del Barba (9%), Rancho Solo (6%) Ventana Vineyard (4%), and one percent from Camp Four. The ‘14 Clos de Gilroy was a gold medal winner at the San Francisco Chronicle Wine Competition this year. It retails for $20 and 3,159 cases were made. Grahm says that the 2014 vintage is done in a "slightly different style than the '13, perhaps a bit meatier and chewier." The wine is "still primarily sourced from the Alta Loma Vyd. in the Arroyo Seco," he says. "This is a superb example of what Grenache is capable of in cooler sites of the Central Coast, when not allowed to achieve a preternatural degree of (over)-ripeness." Clos de Gilroy shows medium-dark purple in the glass, with beautiful aromas of cherry, strawberry and raspberry on the nose, augmented by an herbal note for which Grahm’s wines are known. 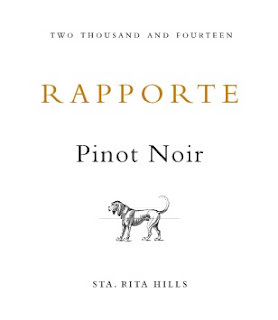 Delightful red fruit on the palate joins some nice savory notes, earth and pepper notably. Light on its feet with a crisp acidity and fairly easy tannins, this is a great wine for sipping - it can even take a chill fairly well. The wine will also pair nicely with a variety of dishes - anything pork or chicken is a cinch. It has the guts to go with beef stew and the elegance to make it a good match with salmon. I was invited to take part in the event and was provided samples of the wines for that purpose. 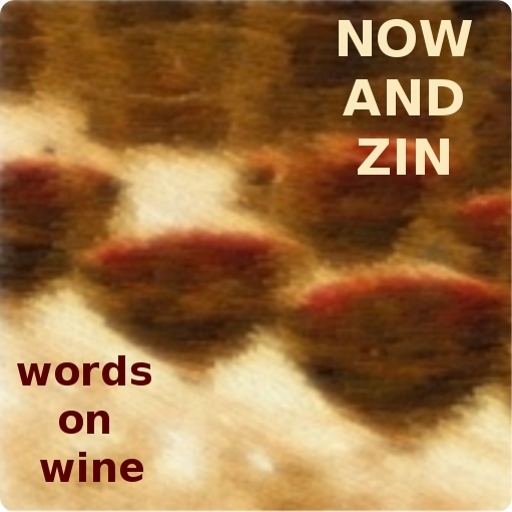 Here are my impressions of the 2013 Lodi Native Schmiedt Ranch Zinfandel by Macchia Wines. Macchia winemaker and owner Tim Holdener used the Zinfandel grapes of Schmiedt Ranch Vineyard, managed by Lodi great Markus Bokisch, to create perhaps the most enthralling of the six Lodi Native wines. The tasters on social media commented, after @Lodi_Wine got the ball rolling, noting that "Schmiedt Ranch was planted in 1918 by the late great Ross Schmiedt." @MsPullThatCork noted that "Schmiedt Ranch was 'becoming a high rent area,' according to Tim Holdener." He was quoted by @Lodi_Wine, too. "Tim Holdener," they tweeted, says 'Lodi Native wines are meant to provide you with a taste of the vineyard. I never met a #Zinfandel vineyard I didn't like.'" One of the six Lodi Native Zinfandels, the Schmiedt Ranch by Macchia is sold in the six-pack through Lodi Native, but is also offered singly on the Macchia website, for $35. The alcohol hits an extremely ripe 15.9%. Oh, man, this wine is good. In the glass, it’s as dark as a power failure, with a highly perfumed nose showing bright cherry and blackberry fruit with a savory streak running right through the middle. Black olives, sage, and thyme aromas make this a very interesting sniff. The palate gets even more complex, as the olives and herbs show boldly and a delicious coffee/mocha note drifts into the finish. The wine’s tannins are subtle, but it pairs wonderfully with a hamburger (easy on the mustard) or pizza, a pork chop or roasted chicken.